Creative writers are accustomed to the idea that their writing must go through several drafts. However, much of the advice on offer to academic writers proceeds as if all they have to do is produce a draft which is then edited, tidied up, everything made neat and clean. I have seen many a thesis completion timetable come unstuck because doctoral researchers do not grasp the fact that by and large this is not what happens. 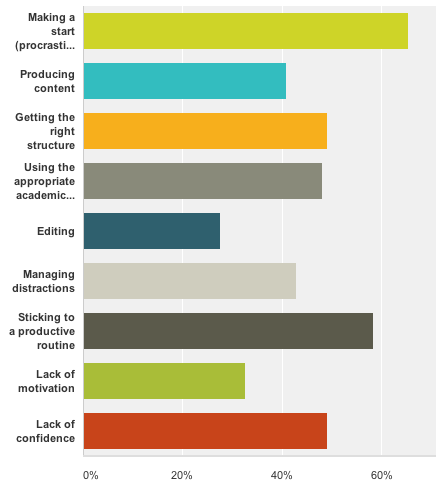 Most of us have to do more than one draft of a piece of academic writing. In reality, very few of us write the scintillating introduction, the elegant conclusion, the persuasive argument right from the start. It takes several iterations. This entry was posted in Uncategorized on February 24, 2014 by Marialuisa Aliotta. Feedback is a word associated with very ambivalent feelings. By and large, students need it and seek it. Faculty are loath to give it. Admittedly, from the students’ perspective, getting feedback is often one of the best and easiest ways to make adequate changes and improve on performance. For them, feedback should be prompt, relevant and easy to take on board. On the contrary, from the academics’ perspective, providing feedback is often an extra burden to an already heavy workload and often translates into a painful and tedious activity. No wonder so many universities score low on feedback on the National Student Survey. We are no execption. Yet, providing useful, personal and detailed feedback is – or should be – a core activity of any teacher or supervisor who wishes his/her students to do well. So how does one reconcile two apparently conflicting demands? I found my answer to this question some time ago, as I stumbled upon a blog post almost accidentally. As it often happens with any serendipitous event, I have soon lost track of the original post, so I’m unable to give explicit credit to its author. But I’m happy to share its wisdom further. The post suggested a (at least for me) radically different approach to giving feedback. 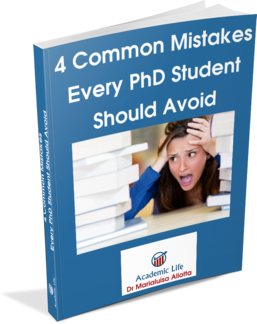 It was an approach that would allow me to give plenty of valuable feedback to each of my students in a relatively short time and with comparatively little effort. The students, in turn, would enjoy the novelty but most importantly, they would get the benefit of a very detailed and personal feedback on their written work that did not require them to decipher my handwriting or figure out what I had meant exactly with those funny scribbles of mine on their paper. So, what was this magic bullet, then? Well… the way I do it is as follows: the student sends me a report, a chapter draft or any written document that I am supposed to read and provide feedback on. I read the document and take quick notes as I go along, often annotating the pdf or doc file directly. I decide what I want to say in my feedback: I typically start with some general points and then move on to some very specific issues. And finally, I hit the record button on my screencast software. If a 5-min video is enough for your purposes, the easiest thing is to download and install some free software that allows you to take a screen-capture of your computer screen. When I started off, I used Jing (http://www.techsmith.com/jing.html ): it is very intuitive and easy to use. You launch the program, open the student’s report, select the area on your screen that you want to capture and start recording. Once finished, Jing provides a number of different ways to share your videos, including copying the link to it straight into your clipboard. You can then send the link to the video via email, save the recorded file on your computer or even upload it to screencast.com to share further. Jing’s only limitation is time. You cannot record videos longer than 5 minutes (although of course you are free to record as many 5-min videos as you want). Admittedly, the learning curve with using Camtasia is much steeper at first, but once you grasp the basics you can record, save and export your videos in a matter of minutes. I’m sure there are plenty of other software out there for you to choose from. These are just a couple of examples that work well for me. Have I gone away from providing feedback in traditional face-to-face meetings? No. But video feedback has come extremely handy on lots of occasions. Of course, like everything you do for the first time, providing video feedback may take you a while to get used to, but the time you save in the long run is definitely worthwhile the initial hussle. So, if you are an academic struggling with finding the time to give your students valuable and detailed feedback, why not give it a try? And if you are a student who would love to receive video feedback from your supervisors, why not share this post with your them? I’d love to hear from you. Just leave a comment below. PS Oh, and if you happen to be the author of the blog post I mention, please know that I’m hugely grateful to you (you know who you are!). This entry was posted in Uncategorized and tagged National Student Survey, students, Video feedback on January 24, 2014 by Marialuisa Aliotta. This entry was posted in Academic Writing, Uncategorized on December 19, 2013 by Marialuisa Aliotta.